It should feel like fall in the air but so far it hasn’t arrived here in my hometown. 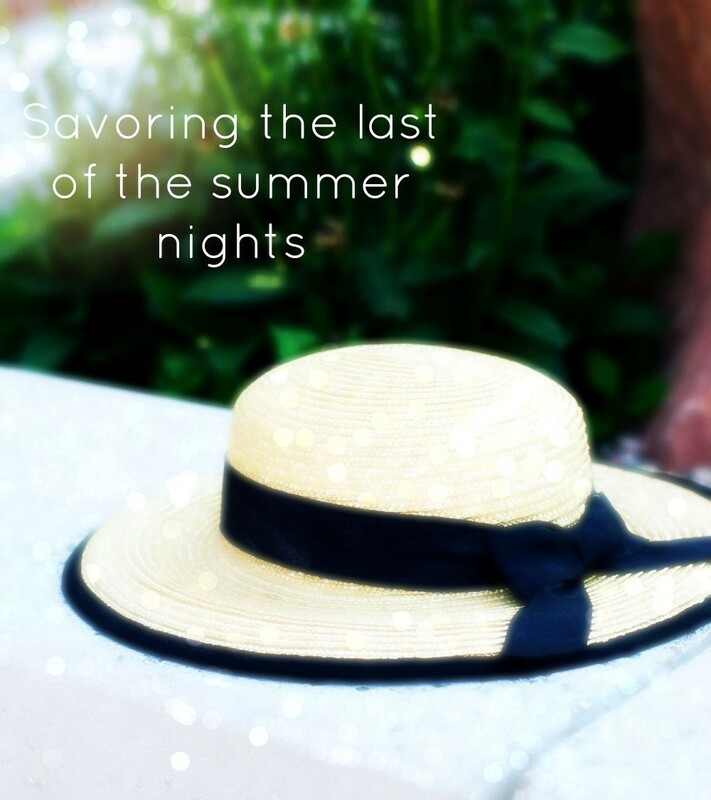 Therefore I’m going to savor every last summer night as possible. Eating alfresco in my own backyard . . .
with my light breezy maxi dress . . .
straw hats . . .
and just a bit of layering. After all we still August for a few more days. Happy weekend to all of you, my you savor the rest of the summer nights as well. « MISSING MY GIRLS AND THEIR EVERYDAY MATCHING ATTIRE . . . Perfect example of mixing, matching and layering. Love the footwear (as always). Isn’t that necklace divine? My, don’t you look cute! 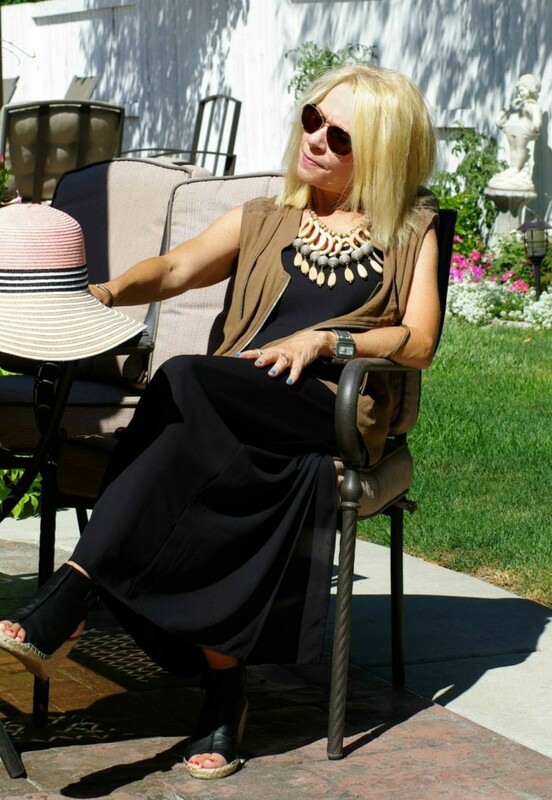 I love maxi dresses and, in fact, am wearing one right now. (Red and white stripes) The end of Summer is always bittersweet. I am with you in the savoring department! 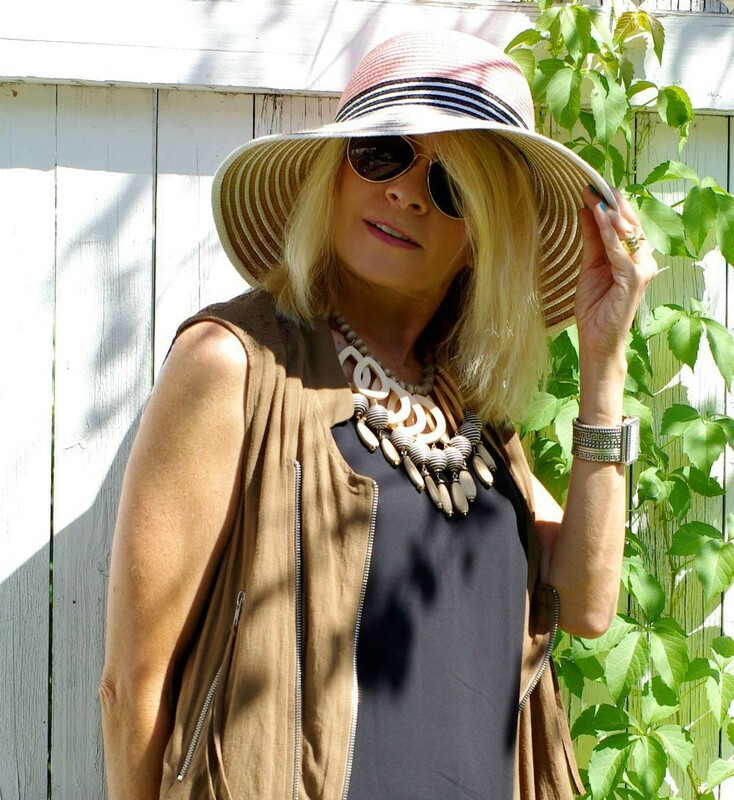 I adore this look, the long back dress, hat and pendant necklace is summer causal at its best, and that hat is the perfect topper ( literally!) It is warm here in NY, but the days are getting shorter… but I am not closing the book on this season…..
Love the brown layer as well, adds an earthy look! That wonderful look, Trina, you look so elegant and pretty. 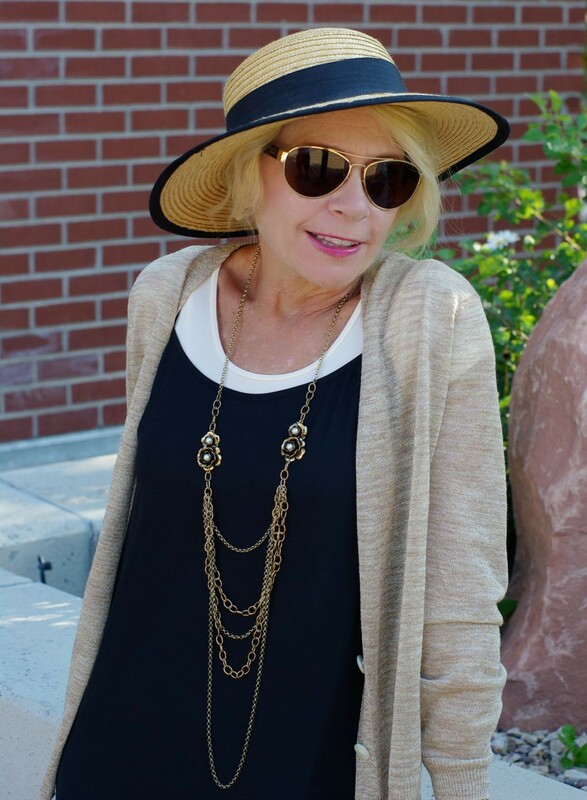 The necklace is wonderful, and the hat is perfect for the look. Your loose braid is darling! You have captured the preciousness of those last sunshine days in these photos, from the outfit to the location. It has begun raining in Vancouver and we brace for the long grey days of autumn and winter. I’m glad I can indulge in those last rays with your post, Trina. You really know how to make the end of August shine. And now it’s September already! Where did the time go??? 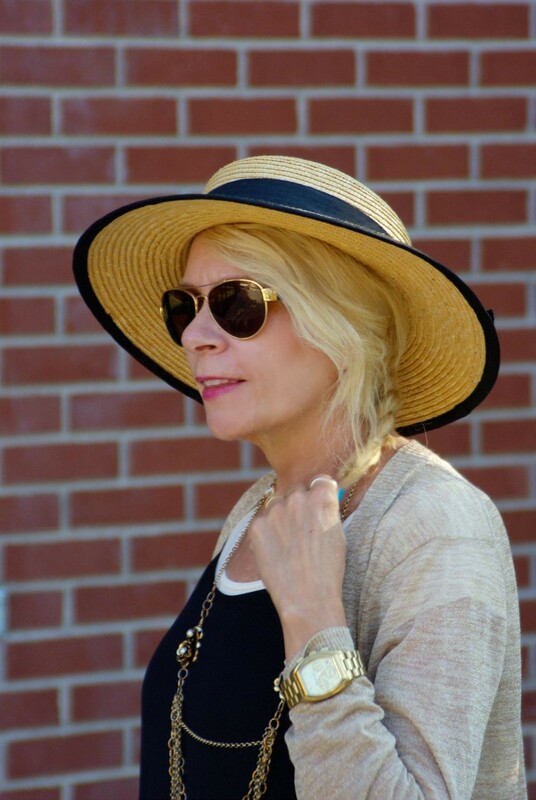 Thank you so much for sharing your beauty and your lovely straw hats with Hat Attack!